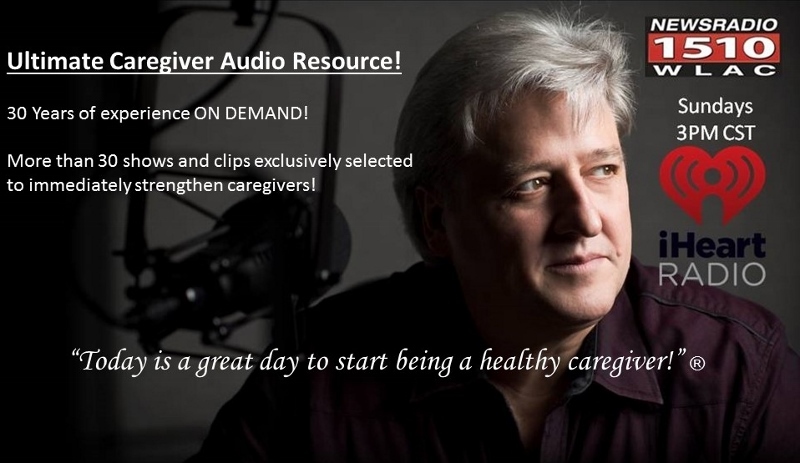 How do you help a caregiver? You put 30 years of experience into their hands! The road of a caregiver has pitfalls—I call them “caregiver landmines.” Thirty years of serving as a caregiver has taught me this—the hard way. We will identify seven caregiver landmines that can wreak havoc in a caregiver’s life—and the life of the caregiver’s vulnerable loved one. These caregiver landmines can explode and knock you so far off course, that you have no idea what’s up, down, sideways, or frontwards. Your thinking can become distorted, and you would swear that you are safely navigating the path, while actually heading straight off a cliff. Worse yet, we caregivers aren’t limited to just one landmine field. Those suckers get reset every day, and a new field often awaits in the morning. Here’s the good news: you have a resource and tool right now to walk you safely and confidently through a field of caregiver landmines. 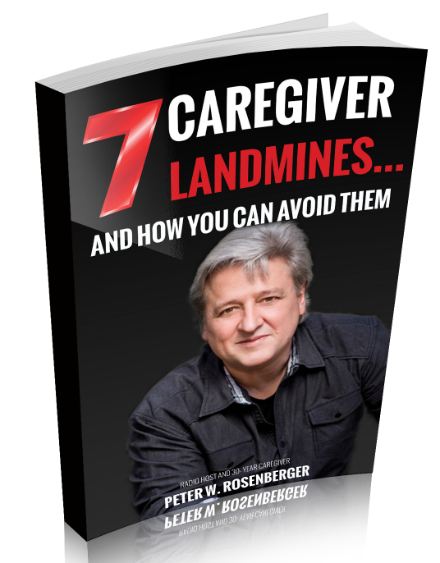 Listen to this recent podcast of the radio show where we reviewed the first six …and then covered the seventh caregiver landmine! As a 30-year caregiver for my wife, Gracie, through a medical nightmare, I understand the challenges, heartaches, and bone-weariness that a caregiver can feel. As a pianist for more than 45 years, I understand how to communicate the feelings of the heart through music. In this recording, I set out to play songs that comfort and strengthen me in my ongoing journey. Most songs are great hymns of the faith. I also included an original tune written to communicate the heart of a caregiver: I CAN ONLY HOLD YOU NOW—co-written with Buddy Mondlock. Millions are feeling the crushing weight of caring for chronically ill, disabled, and/or elderly loved ones. 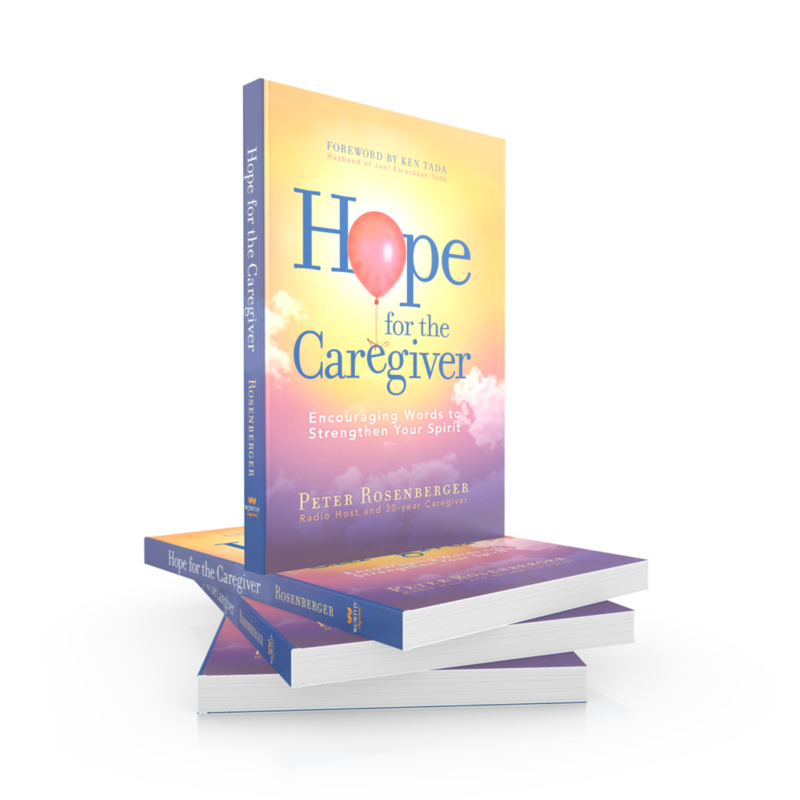 In HOPE FOR THE CAREGIVER, Peter targest the vast population of America’s 65 million volunteer caregivers of vulnerable loved ones, to bring his lifetime of experience to offer a lifeline to his fellow caregivers. 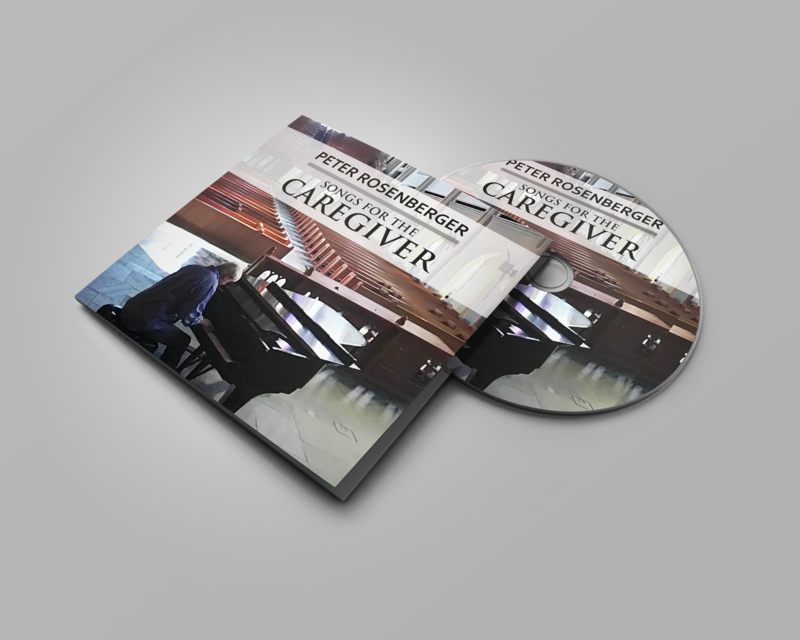 Now in it’s 3rd printing, the powerful book has inspired thousands, and thousands, and is not only comforting and strengthening a lonely caregiver, but is also serving as valuable resource for physicians, pastors, counselors, and support groups. 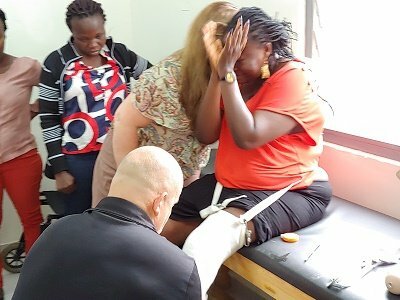 With an unparalleled journey as his wife’s caregiver for three decades, Peter has navigated through a medical nightmare that has mushroomed to 78 operations, the amputation of both legs, treatment by more than 60 doctors in 12 hospitals, 7 medical insurance companies, and $9 million in medical bills. 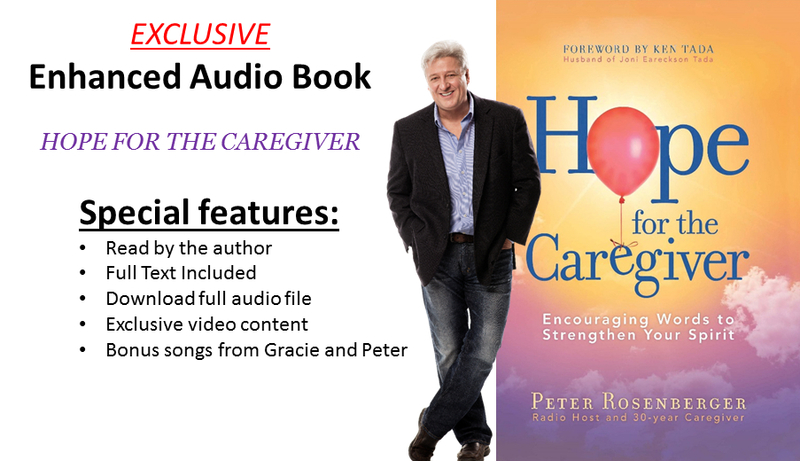 Peter brings an astonishing understanding of health care issues, a deep compassion for the heartache of caregiving, and an outrageous humor to bring the fresh air of laughter into the painful places faced by America’s exponentially growing number of caregivers. 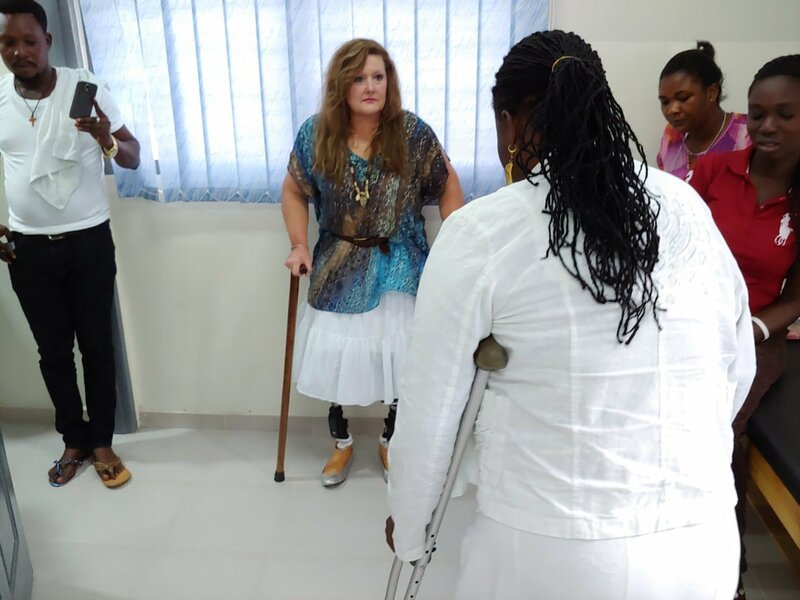 From the roadside of a tragic car accident, to equipping amputees in West Africa to walk on prosthetics, to performing for the President of the United States, Gracie-Standing With Hope takes readers on an extraordinary journey of loss, sorrow, strength, courage, and faith. Are you struggling with Caregiver Guilt? At some point, every caregiver wrestles with guilt. This kind of caregiver guilt isn’t about sins that get great press. Those things earn guilt. Rather, this type of guilt stems from a child is born with a disease or disability—or even something as simple as wanting to take a break for a day …or even a few hours. The list of things we mercilessly flog ourselves over stretches beyond the horizon, but none of those things help us live a healthier life. We’re no good to anyone if we stroke out or become impaired ourselves because we push ourselves to the breaking point. Today is a good day to be a healthy caregiver, and that journey starts with extending grace to ourselves.